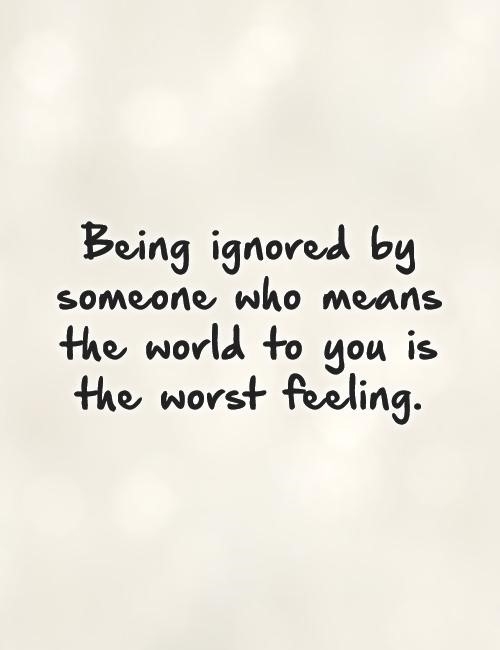 When you feel ignored by someone who really means a lot to you, that is the worst feeling ever. It could be anyone; a friend, a relative or someone special. Facing a situation this complicated, requires a good deal of strength on your part. What I recommend is to try to sort out things with that person. And even if things do not work out after that, you better move on. 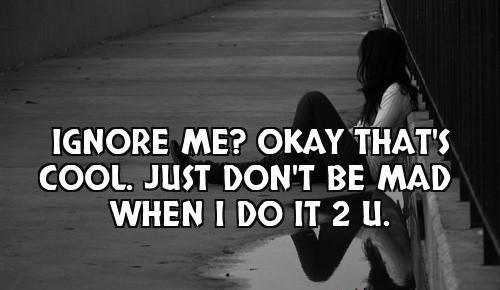 Check out these being ignored quotes to get some inspiration for facing the situation. I regret wasting my time on you. I don't want to waste my time anymore. 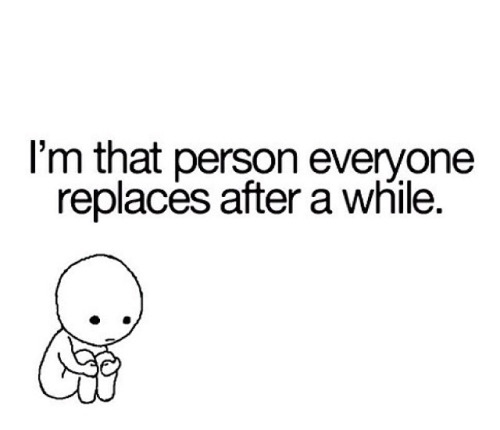 I am used to getting ignored. Ignoring others is a kind of abuse. Lolz! No one wants a superpower like that. Hopefully, you will never hear from me again. Entirely ignored! That's what I feel. To pretend that I am fine is the hardest thing. True that! Worst feeling ever. 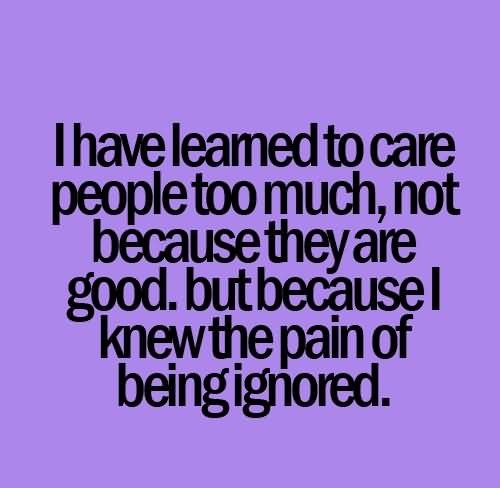 I know the pain of being ignored. 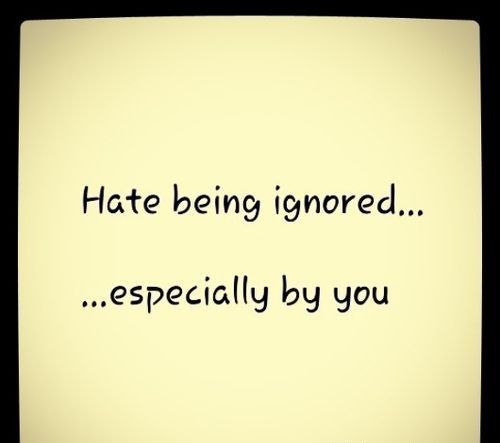 I just hate it when you ignore me. How would you feel when I do it to you? 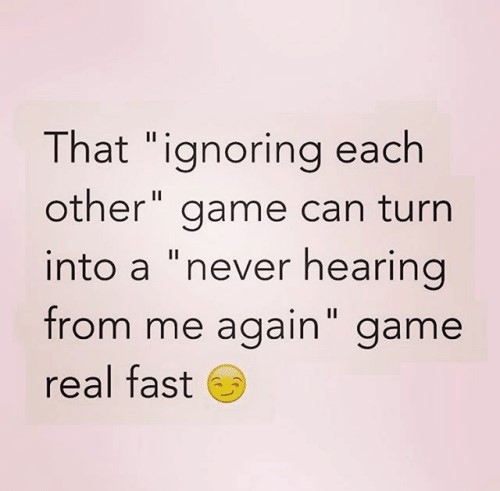 The person being ignored would leave ultimately. I wish to ignore you. 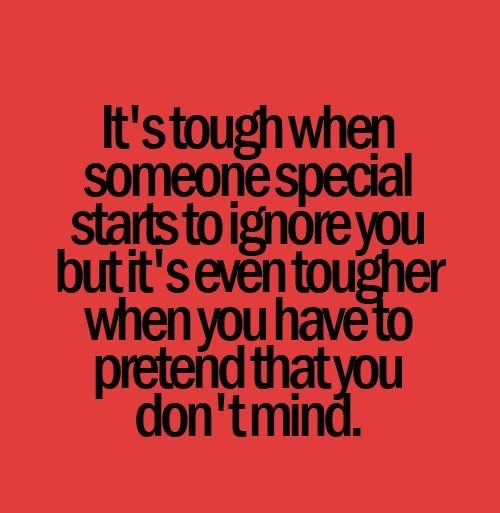 But it's really hard. I thought they were friends, but they were not. Yes! I am tired of being ignored. Simply tell me, 'you don't like me'. It makes no difference to him, that hurts. I wish you get some nice piece of advice from these being ignored quotes. Get over it, once and for all.